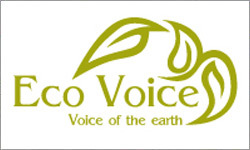 Keep Australia Beautiful needs help to get "No Junk Mail - I read my Catalogues Online at Eco Voice" stickers on as many letterboxes across Australia as possible. And with Keep Australia Beautiful Week kicking off on Monday 23 August, now is the perfect time to get started. Bundles of stickers are available for schools, community groups & sporting clubs to use as fundraisers to spread the word and make revenue for your other sustainability programs. 80 Pages Of Rural News, Reviews And Ideas. 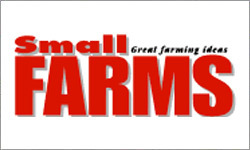 Click Here to see what's inside your latest 80 page issue of Small Farms Magazine. Now onsale at newsagents for only $6.95. . This survey is about reproduction and attitudes towards goats. The information gathered will serve the goat industry. 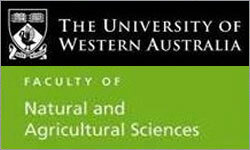 I am Aprille Chadwick, PhD student in Animal Biology at The University of Western Australia. I would be grateful if you could complete my web-based survey. Just click on the link and you will direct to the survey. It won't take you too long to complete it and the results will be made available to you. 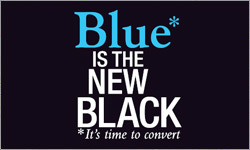 Please, visit the website and complete the survey before the end of July 2010. Thanks. If you have any questions or comments feel free to make contact. Go the goat! “Building community consensus around climate change action is a reasonable proposition,” National Farmers’ Federation (NFF) President David Crombie observed of the Prime Minister’s Citizens’ Assembly announcement today. 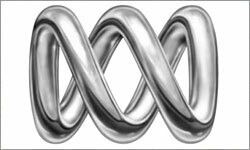 “But it will be absolutely critical regional Australia and farmers are centrally involved. We live and work with the climate every day, we’re good at managing carbon and we are part of the solution, not part of the problem. 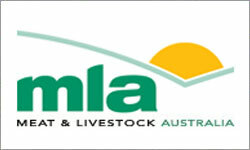 Meat & Livestock Australia (MLA) yesterday announced a relaunch for beef marketing with a new $5 million domestic beef campaign endorsed by the MLA Board. Newly appointed Marketing General Manager Glen Feist said the new beef marketing campaign is designed to get consumers talking about beef again, and help achieve an increase in domestic beef consumption this year. 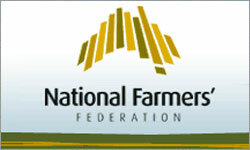 The Coalition says it will toughen biosecurity measures if it wins the federal election. Opposition Leader Tony Abbott says the Coalition will restore the $58.1 million in funding cut by the Labor Government and will provide an additional $35 million for security screening. He says as a result of these cuts, the number of sea cargo inspections has falled by 25 per cent, and air cargo inspections have fallen by 75 per cent. The Bazadais (Baz-a-day) breed originates from Bazas, located to the south of Gironde, France. Bazadais is an ancient working cattle breed, once widespread from the forests of Les Landes to the vineyards of Bordeaux and has a herd book dating back to 1895. 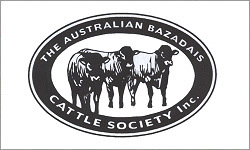 Bazadais cattle are highly adaptable to any terrain and will extract the best from any type of country. The stature of these animals and their outstanding reaction to less than ideal grasslands is impressive. The breed has also gained a strong reputation for acquiring good carcases without having to supplement typical grazing patterns. Our next bi-annual field day is on Wednesday 4 August 2010 commencing at 10am. An interesting program has been put together for everyone. Guest speakers include Steve Parker from Pfizer, Jeff House from Industry & Investment NSW, Christine Weston who was 2010's Rural Woman of the Year, Gus Hickman from "Talinga" at Woodstock, Dr Cath Donoghue from Trangie Industry & Investment NSW and after lunch Sylvia Athas from Meat & Livestock Australia, Kim Lee from Rabobank and Dr Carole Hungerford GP & Author. They will cover a wide range of topics of great interest. 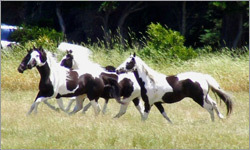 The Paint Horse Association of Australia was formed in 1973 to collect, record and preserve the pedigrees of Paint Horses. 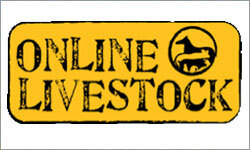 Now, more than thirty years on, we have experienced enormous growth in members and the Paint Horse Breed. Situated in the prestigious Torryburn Road precinct, moments from pretty East Gresford village, ‘Campsie Park’ is an extraordinary property. The privacy and serenity that 104.9ha (256.69 acres) affords combined with functional agri-business practices delivers a stunning lifestyle property still with further scope for enhancement. 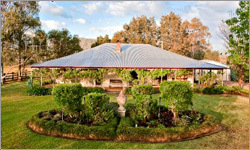 Divided into thirteen paddocks, each with a trough and dams and with approximately 2km of absolute Allyn River frontage of lucerne growing flats, it rises to rolling hills. National Tree Day will be held on Sunday 1st August, with Schools Tree Day taking place on the Friday 30th July. Last year over 312 000 people at 3 500 sites dug deep to improve their natural surroundings. Tree Day shows children how easy and fun it is to help our environment. 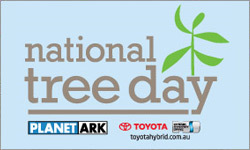 National Tree Day, proudly sponsored by Toyota, is Australia's biggest community tree-planting event and a day for all Australians to help out by planting native trees and shrubs at a Tree Day site in their local area. It aims to inspire, educate and recruit Australians to actively care for our unique land and create future generations of committed environmental custodians. Rural Youth W.A. 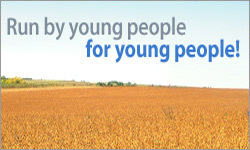 is a social support network for young people across Western Australia. Our aim is to improve the quality of life of young people aged between 18 and 35, particularly those based in regional or rural areas. We are run by young adults for young adults so we make sure what we do is fun and relevant for the youth of today. We bring young people together from geographically or socially isolating environments to interact with their peers as well as participate in skill development sessions for future life. We also provide young people with experiences in corporate governance, leadership and financial management so that they can contribute to their local communities now and into the future.